The “SPECIAL” Coal Case – Ministers and Scamsters! The judgment rendered by the Special Court betrays complete ignorance of the constitutional fundamentals of a Parliamentary form of Government. A minister is responsible to Parliament for whatever goes on in his department, whatever the extent of delegation and whether he is personally involved or not. It is this accountability, which provides legitimacy to governance and justifies retention of confidence of the Parliament and consequently consent of the governed. It is thus the minister alone who is the final decision making authority and remains liable to account to Parliament for all mishaps and operational failures of his ministry. There cannot, therefore, be a presumption that a Minister does not know what is happening in his ministry. The presumption, in fact, is to the contrary because his office is predicated on the affirmation of the principle of accountability, which negates the supposition that he need not know the affairs of his ministry. And an emphatic reiteration of this principle arises where power is exercised by the minister personally as in that event there is no displacement of authority to take decisions and of the consequential liability for the same. In the case where the Coal Secretary has been convicted, he merely recommended allocation of coal blocks but the eventual approval was granted by the Minister of Coal who also happened to be the Prime Minister. The PM is NOT the government of India and the comment betrays complete lack of understanding about what the government is. Even where functions entrusted to a minister (or PM) are performed by an official there is in law no delegation because the official’s act is constitutionally that of the minister. And should an official may act in a manner the minister disapproves, the minister has then to act to show his disapproval of the same and should he choose not to so act despite having the opportunity, the reason and ability his omission becomes part of the blameworthy act itself. In the instant case the minister did not so act. If the civil servant is culpable so will the minister. Thus not the secretary alone but he along with the Prime Minister can be liable to the Government of India. 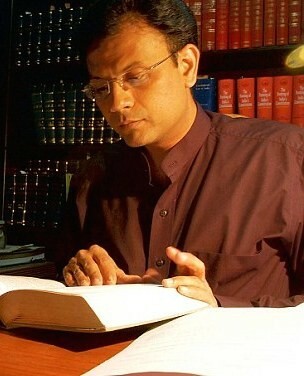 In fact in the instant case the responsibility was more onerous on the PM for the Special Judge himself records that “the fact that the then Prime Minister of the country Dr. Manmohan Singh thought it appropriate to retain the charge of Ministry of Coal with himself only, clearly shows as to how important the work of said Ministry was.” If it was admittedly very important for him how can it be presumed in his favour that he left it to the discretion of the Screening Committee to make recommendations and then blindly follow them? The presumption would be that he was alert and was fully informed! The wrong becomes more significant still as the concerned minister was also the Prime Minister. Mr Parakh, however, has written that “on the 20th August 2004, the Prime Minister approved allocation through open bidding. He wanted a cabinet note on this. After the Prime Minister’s approval, we received a note from the Prime Minister’s Office (PMO), enumerating the possible problems in moving to open bidding. It is understood that this note from the PMO was based on an unsigned note given by the MoS to the PMO.” Instances such as these are cited to prove The PM’s innocence – the fact that he was helpless. This reputation enabled him to a get relief from the Supreme Court too. However no matter how good a person one is, if the act (or omission) is criminal goodness of disposition provides no amnesty from prosecution. The fact remains that the PM did not remove the minister, who he was entitled to do, and altered the decision to align with that of the minister! Apart from the fact that omission to act, being intentional, had a behavioral dimension, which took away from it the badge inactivity and firmly attached it to the unfolding criminality of conduct, the issue transcended from one of individual ministerial responsibility to one collective responsibility of the council of ministers for which, again, the PM is ultimately responsible. If the secretary, as the head of the permanent civil service can be prosecuted, the PM who heads the political executive cannot be immune. In matters of policy the responsibility is always of the political executive. And where the political executive allows faulty implementation of policy, the wilful failure to act will make its liability joint with the civil servant. Let there be nothing arbitrary in drawing the bounds of criminality and never play favorites with the accused. Law after all is not to be like “a spider-web through which big flies pass while the little ones get caught.” Once the political executive is reigned in the permanent civil service can never go astray. If however law provides possibility of wagering a chance to defeat the system immunizing some and randomly targeting others it will remain a failure both instrumentally and normatively and the systemic rot will remain endemic.